By Katie Bennett, Contributing Writer. 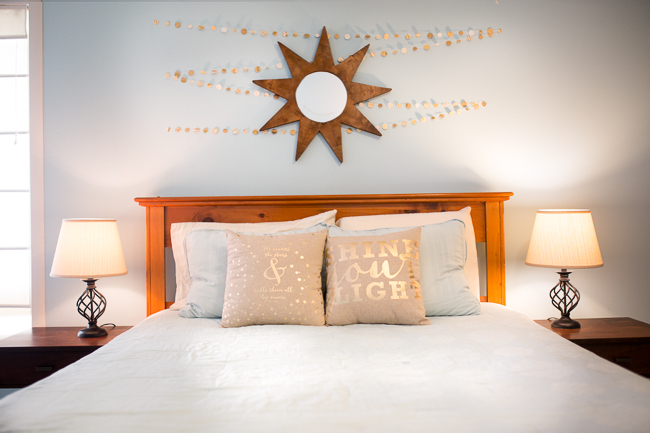 The responsibility of running a home can overwhelm me at times. Especially now that I have three little children in the house, the work and mess of it are unending. I’ve given up on perfection and pride, because there is none of those to be had in my home in this season. A home isn’t worth that level of devotion anyway. Rather, when I’m doing the work of it, I strive for a better overall average quality of living. Because let’s be honest, that floor I just swept is going to be crumbing again within the next few hours. That glass I cleaned will be hand-printed again by the end of the day. By the time I finish a weekly laundry haul (a two-day process), all the hampers are halfway filled back up. There is no arriving, but I have still managed to eek out some semblance of balance within my home. To this end, habit has been my greatest resource and friend. 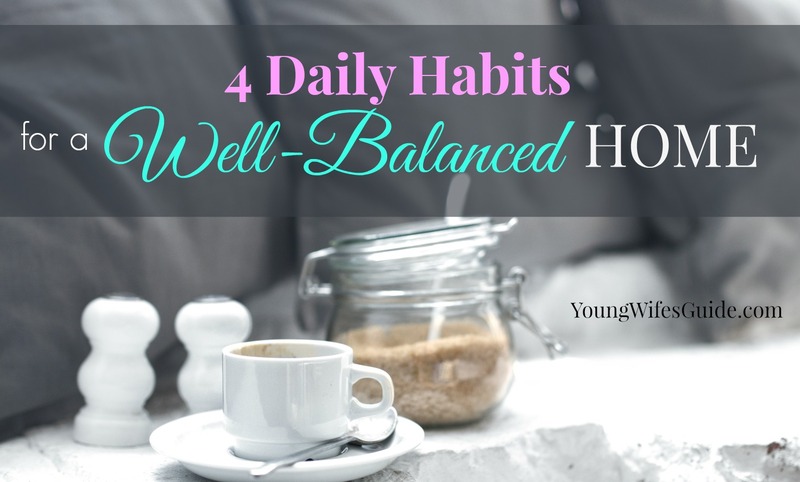 There are quite a few habits that I implement with relative consistency, but here are four that I believe make a quick difference in the equation. I recently accepted the challenge to get rid of 500 items from my home in 14 days. It sounds kind of crazy, but after completing only the first day of the challenge, I’m already 100 things lighter! Day 1 was paper clutter. While I was able to find enough paper clutter to keep up with the challenge, I also realized that I do a pretty good job of processing paper as it comes into the house, which prevents it from piling up. For me this means all papers hit the dining room table when we enter the home. These are cleared as soon as I can get to them. They go one of three places. Either they are immediately recycled (I don’t keep much), filed away (I will create a new file immediately if needed to keep them from piling up), or placed in our paper sorter if they require attention or action. Using this systematic approach takes only minutes per day, but saves the chaos and stress caused by mountains of papers in the home. This is I habit that’s new to me, but it’s making a difference! My goal is to sit down at my computer once a week (usually Sunday), and create a plan. I use an online meal planning service to plan out my meals for the week using a drag and drop tool. 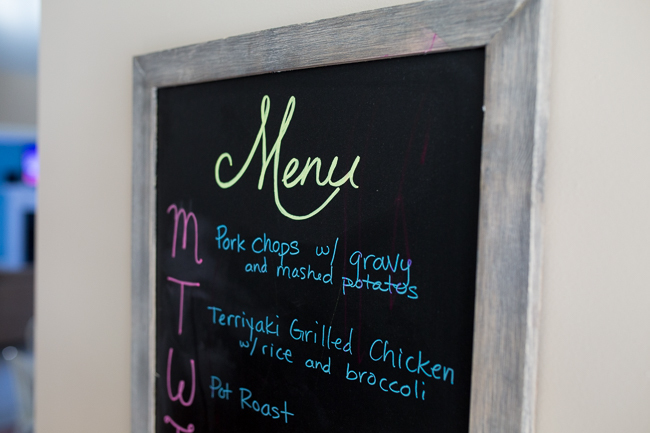 I then print out automatically generated recipes and shopping lists and write my menu on our kitchen chalkboard. If I do this consistently, my home runs so much better throughout the week. It is well worth the effort up front! Each morning when I get up, I make a point to make my bed when I get dressed. I finish by opening the curtains and putting all dirty clothes in the hamper. I follow this routine for each of my kids’ rooms. I can’t begin to tell you how much good it does me to know that all the bedrooms are made up before we even start our day. It creates a sense of order and balance that truly make life better. I’m sure we’ve all experienced the visual and literal burden created by unwashed dishes. We do nothing but create more work when we leave them for later. I have had to train myself to the habit of immediate dish-washing. This was not my natural inclination because I’m tired after prepping, cooking and feeding dinner to my family. I want to rest! However, through consistency and discipline, I have re-trained my body. As a result, I now have the stamina to wash the dishes immediately and then rest afterwards. This is a much better plan for running a home well! 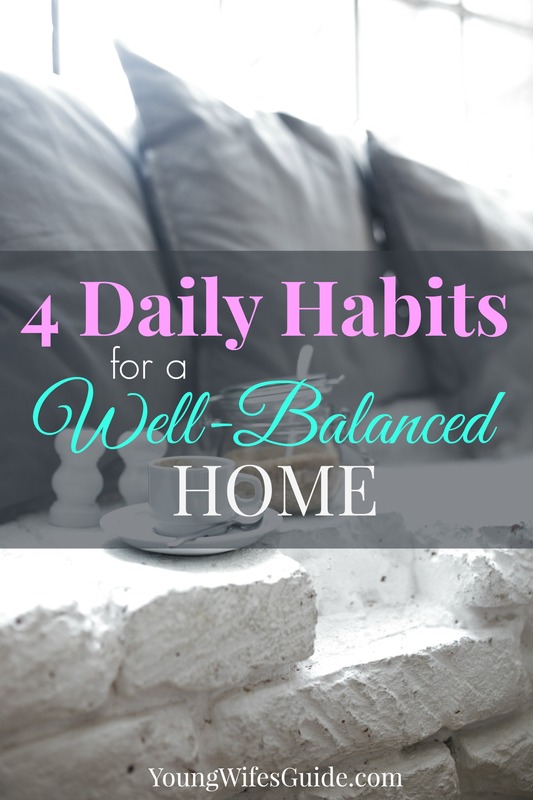 What are your essential daily habits for a well-balanced home? Free PDF Guide & Training Video! If you want to take this concept further and jump into how you can plan for a successful day (and what that even means), then I want to invite you to sign up for my FREE video and PDF guide 5 Keys to Planning a Successful Day. Hi! I’m Katie. I’m a young-ish, stay-at-home mom of two adorably-fun little ones, and I live a life devoted to Jesus. I love to write and focus my energy on living simply and well. I blog at www.embracingasimplerlife.com where I write about eternal perspective, being a wife and mama for the glory of God, and simple, intentional living. Come check it out! Thank you Katie for inspiring me to create these habits! I honestly am terrible at cleaning up our kitchen at night.I am so tired I just want to crash on the couch…so every morning I end up playing catch up from the night before. I pray I can make this a habit as well! That was me FOR YEARS! I can relate so well. It took a bit of determination, but with persistence, I truly did retrain my body. Now I do it without even thinking! If my husband is home, he puts food away and washes the table and counters. My 5 year old son takes all dirty dishes to the counter by the sink and sweeps under the table if needed. My 2 year old daughter puts away hot pads and puts bibs and cloth napkins beside the washer. I begin washing dishes right after the meal, and try to get done about the same time the others do. The jobs are pretty evenly divided in terms of time, unless I’ve let dishes pile up all day. If we do this consistently, it leaves the whole kitchen clean after every single meal, without any of us having to work very hard, and without Mama being stuck in the kitchen cleaning up while everyone else runs off to do fun things. Amen! Me too. Your and Katie’s comments really resonate with me. I will try this habit and pray we can all keep it going. I truly need more stamina for after-dinner clean up and the evening. I totally agree with this list. If I don’t get these things done in a day I go to bed frustrated and wake up feeling defeated. Prayer & bible reading before my child wakes in the am. Then spending the time to cuddle him after he wakes up rather than rushing into the day. I love planners and in my planner I have weekly sheets where you shade in if you did a certain habit. So I have my morning and night time routines (habits) on there. My morning routines are: •swish and swipe 1 restroom (got this from fly lady) it takes me like 3 minutes I put some of that Clorox toilet gel in the toilet, wipe the counter and and the whole toilet with Clorox wipes. Sometimes I’ll use the Clorox scrub wand things but rarely need them. The toilets stay pretty clean. •put up clean dishes from dishwasher •clean, wet clothes to dryer •read the Proverbs for the day •”homeschool” •Breakfast Nighttime: load the laundry preset it to wash in the morning •set the dishwasher to wash (hopefully the dirty dishes have been accumulating INSIDE the dishwasher instead of the sink) •Clorox wipe the kitchen counters •pick olio the kitchen and living room I TRY to do all these things, some days I’m better than others. The great tip from Jami to have your Bible open in the kitchen had helped me to get the word in everyday Also I’m gonna focus on one section of the Bible for each month. I love your routine!!! 🙂 I’m so glad, that’s awesome!!! Keep up the good work with your Bible reading! Woaw Thanks Katie! I really need to take the challenge of getting rid 500items in 14 days. I am “Mrs Sentimental Value” where every item that gets in the house almost stays in the house forever. I value every thing like the plane ticket where the kids took for the first time, the flyer in the hotel where we went to or the receipts of our monthly bills in case they need proof that we pay our bills on time! Hahahaha That makes our house looks like an office! Thank you for this idea! 1)When I wake Up I spend time with God with coffee. If I have this moment everyday I am well guided in what I have to do everyday. 2) In the afternoon after My Morning Routine, I make sure that all is well in the house so that I will be ready for our Study Time for my kids and I could spend time with them after school. If my kids are happy all is well in the house and they refrain from messing around because Mama is playing with them! 3)In the evening I make sure all the things I needed for tomorrow is all prepared especially Kids’ school bags, their Uniforms and Breakfast. So that I can relax in the morning and I have more time to cook in the kitchen and clean the house. That is so great! Thank you for sharing!! 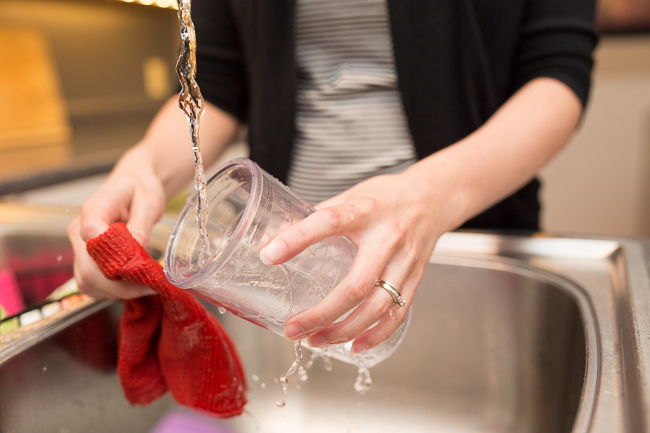 When you are talking about re-training for doing the dishes immediately: Do you clean immediately after the dinner is done being eaten with your family? It is so tough to retrain habits! Believe me I know! I go in to more depth with this in my course (found here http://embracing-a-simpler-life.teachable.com/p/help-for-the-hopeless-homemaker) but in a nutshell, I think it take resolve, specific goals (clean up the dishes every night after dinner for 21 days without missing a single day), and a tracking system to keep yourself on task! Also, getting the family involved if possible is nice, such as asking your husband to help the children clear the table immediately after the meal. Hey! Good tips. I adhere to the bed making and dishwashing thing, in fact, I stopped using a dishwasher by choice and it caused me to keep up dramatically better! I also created a rule not to leave my house if my kitchen counters weren’t clean and dishes done-even if I’m running late. It made a big difference. Also, when I clean my kitchen I start by moving all the mess onto on isolated counter and scrub down the other (now empty ones) so I immediately feel like I’ve accomplished half the work. Something else kind of weird but effective that I developed as a habit is cleaning out the car every single time we get home. I don’t consider that I’m “home” until I’ve looked in the front seats, back seats, and trunk for trash/shoes/toys/etc. It’s so great to know the car is continually clean.